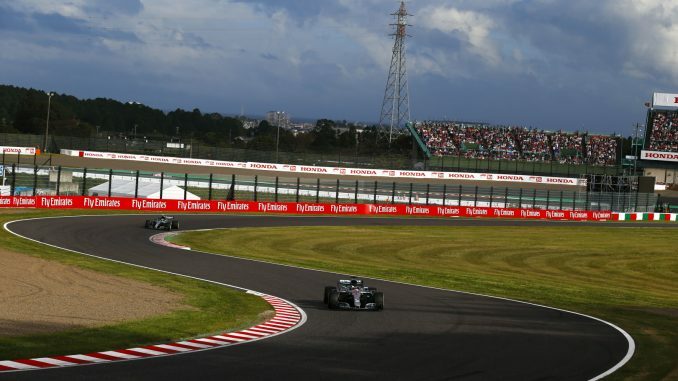 Lewis Hamilton claimed the 80th pole position of his Formula 1 career as he and Valtteri Bottas locked out the front row for Mercedes at the Japanese Grand Prix. In tricky conditions at Suzuka, the reigning champion set a time of 1:27.760 early in the final part of qualifying as the wrong tyre call cost title rival Sebastian Vettel. Mercedes and Ferrari chose different strategies at the start of Q3 on a damp track with rain in the air, as the Silver Arrows stuck with slicks while Ferrari banked on a slippery track favouring the intermediates. Vettel and Kimi Raikkonen both had to back into the pitlane for dry tyres without setting a time as the track was initially dry enough for the supersofts, costing them time while the Mercedes drivers starting their first flying laps. Once back on track, Vettel struggled to make the supersoft tyres work, running wide in his Ferrari to leave him ninth in the standings. Raikkonen had more success, but was unable to challenge for pole. Ferraris mistake benefitted Max Verstappen, allowing the Dutchman to complete the top three before the rain started to fall again in the final minutes of qualifying, preventing anyone from improving their time with their second run. A red flag was needed in Q1 as Marcus Ericsson lost control of his Sauber, spinning into the barrier midway through the session, leaving him at the back of the grid. Vettel also found the track conditions tricky at the start of qualifying, losing the back end of his Ferrari moments before Ericsson’s incident. 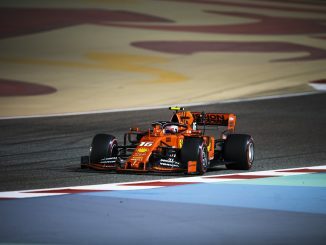 Nico Hulkenberg had a crash during the final practice session ahead of qualifying, and it seemed to affect his confidence as the rain started to come down towards the end of the first part of qualifying, resulting in him dropping out in Q1. Daniel Ricciardo’s hopes of joining his teammate on the second row of the grid were dashed early as the Australian’s Red Bull lost power before he could set a time in Q2. 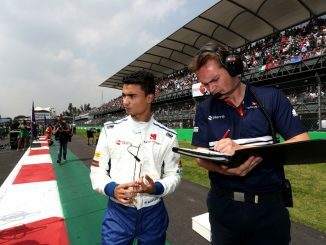 Drops of rain continued to fall throughout Q2, but it started to get heavier towards the end of the session, rewarding Toro Rosso for setting their timed laps early as both cars progressed to Q3, while Kevin Magnussen and Charles Leclerc were among those to miss out on a spot in the top 10 after leaving it late. The weather conditions and mixed up tyre call by Ferrari ensured Romain Grosjean’s Haas and both Toro Rossos, who have an upgraded Honda engine for this race, will be ahead of Vettel. 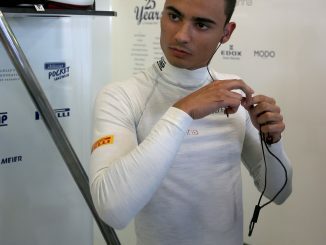 Esteban Ocon initially qualified ahead of Vettel, but he’ll drop back three places after being judged not to have slowed sufficiently during the red flag period caused by Ericsson in Q1.